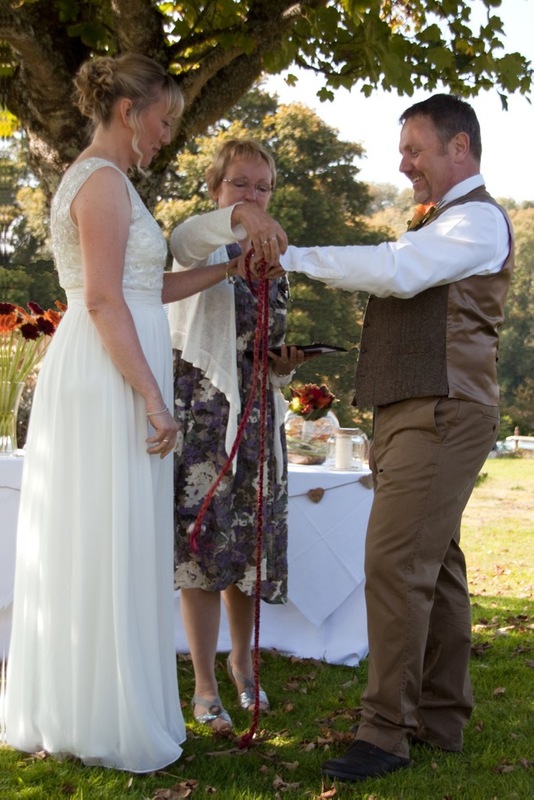 Wedding near Hay Tor with a Hand Fasting Ceremony. Louise and Steve literally “Tied the Knot” in a beautiful ceremony overlooking Hay Tor, Dartmoor recently. The sun came out just before and we moved the ceremony outside. Thank you to Roy George for the gorgeous photos. 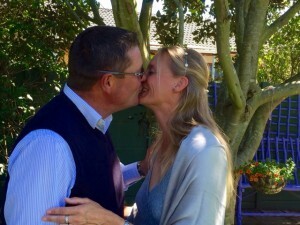 Alexa and Cobus flew over from South Africa in June to have their wedding celebration at Deer Park Hotel near Honiton, leaving their remote farm in the hands of Cobus’s father. Alexa walked into the room on her father’s arm to Vivaldi’s “Spring” played by a wonderful violinist accompanied by a piano. 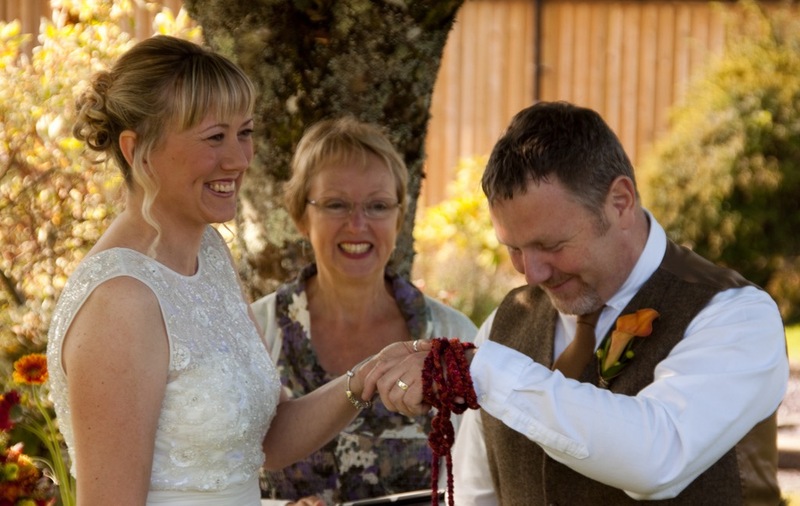 They exchanged rings and made vows in front of their family and friends. After signing a certificate they led the way onto the terrace for canapes and champagne. Many weeks later they signed their papers in South Africa. 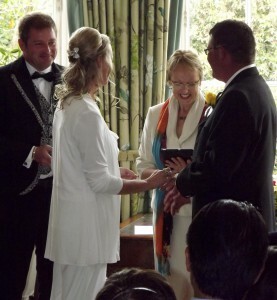 A long life full of happiness to Mr and Mrs Nolte. Once we are man and wife. Raised up for you and me. Where all bright things are ours.